Our clear plastic point of sale or point of purchase displays, stands and hanging clips create visual merchandising impact for your brand. Clearpak produces shelf and floor displays that can give your product that needed advantage in both the retail store environment and on-shelf. Our innovative and decorative designs, graphic treatments and printing applied to our transparent point of purchase displays result in more effective visual merchandising materials for your product. Perfect in-store or at a tradeshow, free-standing floor point of purchase displays are excellent brand identity builders. Turn slow moving SKUs into revenue generating sales with a custom designed POS (point of sale) floor display. Our cost-effective solutions, digital printing technology and creative design team will create visual impact in the retail environment and help sell your products on impulse. POS displays are most effective in a prime location where grabbing your customer's attention is easy. Our custom, clear plastic dump bins can be printed or combined with printed paperboard inserts or backboards and will encourage impulse buying and improve brand awareness at the point of sale. Creating stand-out countertop POP (point of purchase) units is what we do! Create visual impact for your retail products at the cash register, or even a table top, or store shelf. Our POP displays are made of clear plastic materials (PVC, PET, APET, RPET, or PP), allowing a see-through view to your products where branding is paramount. Capture attention, promote your message, and make your marketing efforts work for you. Our clear plastic hanging strip clips are perfect for drawing attention at the shelf edge, cash or where your customers are waiting. An impulse buying booster, particularly when branded creatively to hold your light-weight retail products. Placed strategically, the display strips have small hooks for hanging your product effortlessly in an appealing manner to the consumer. Point of sale promotional material made simple. Using flexible clear plastic for literature and brochure holders when required in quantity is the perfect solution for reducing shipping costs to your locations. Our folding transparent literature holders can be designed to your specifications and be free-standing or built to hang on a store shelf or point of purchase display. Add embossing/debossing, printing or labeling to include your branding. The design team at Clearpak thrives on getting creative with your visual merchandising POP displays. Utilizing clear plastic gravity feed dispensers, printed or plain is an attractive means of catching that impulse sale. These units are light-weight, fold flat and are easily shipped to your retailers for a branded promotional marketing strategy throughout all locations. 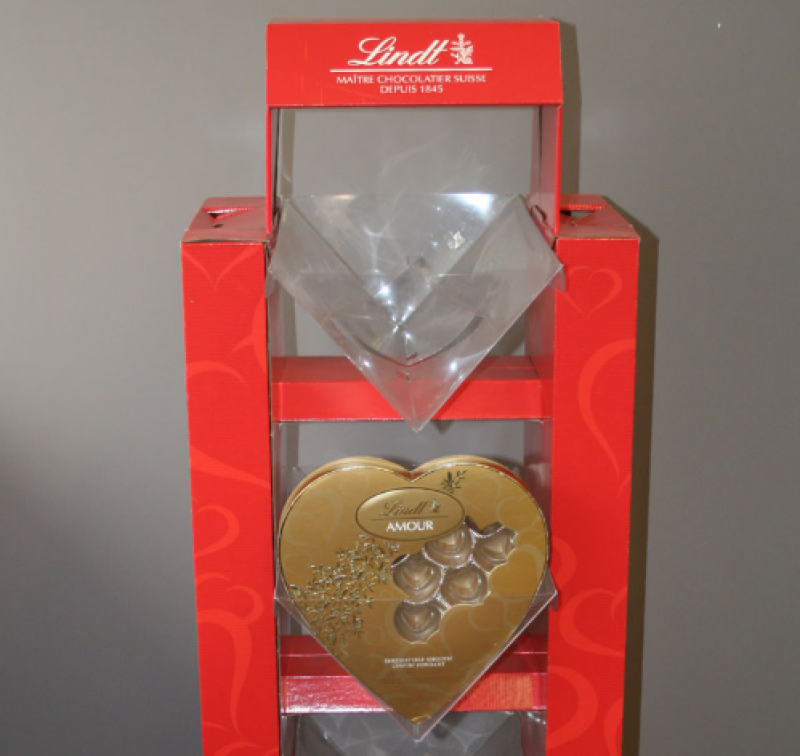 The flexibility and durability of our clear plastic point of sale displays is perfect for in-store brand awareness. Clearpak combines custom designed clear plastic displays with print and innovation to give you the leading edge on the floor, shelf or counter. We use the latest in digital printing technology to create cost-effective solutions that deliver a strong brand message. We can help you merchandise your products more effectively with a variety of different options including gravity feeds, floor displays, shelf tags, or neck tags. 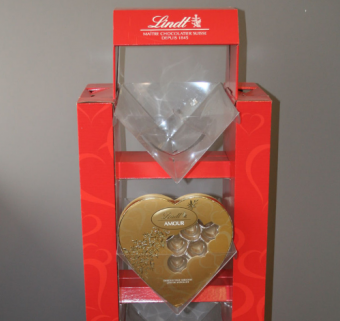 We have point of sale display and clear plastic packaging ideas for almost any industry including wine and candy.